Using Scriptcase is possible to create applications that will work with multiple connections to different database (also different types of database) on the same project, changing it dynamically in run-time. 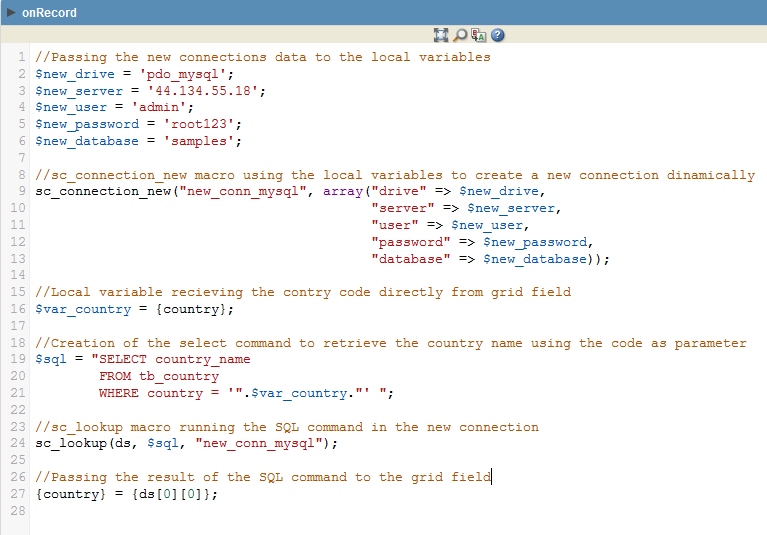 In this tutorial we will review a practical example of use for the macros sc_connection_edit and sc_connection_new on Scriptcase. On that example, Scriptcase will identify the company of the user who is logging in, changing the connection data dynamically for that user to access his company’s database. In a second step, Scriptcase will create a new connection dynamically to fetch data that will be used by a Grid application. 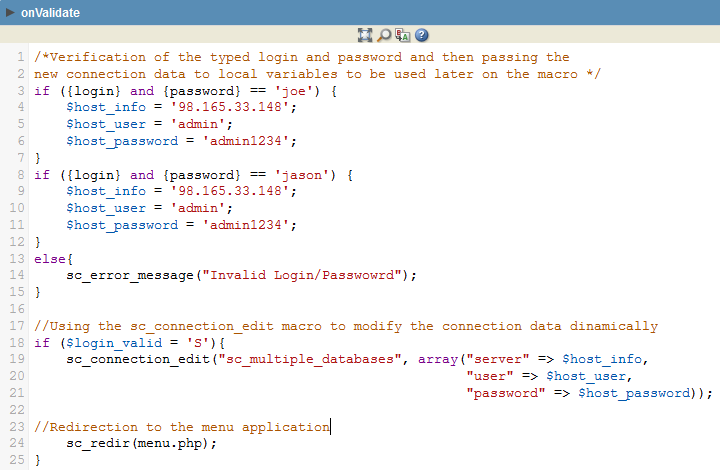 That macro can be used by any Scriptcase application, the changes in the connection will take effect the next time you connect to the database. 2nd parameter: array of items you want to change the current connection. You can only use the index you want to change, but it is not required to give all of them. The macro can be used on any Scriptcase event and application. 1st parameter: the connection name. If a connection physically exists with the same name, this macro will have no effect. Physically created connections are stronger, sc_connection_edit should be used to change an existing connection. arr_conn[‘drive’] – See the full list of drives below. .
Reminding that onRecord event will be executed once for each row in the query load. Do you want to see more examples using Scriptcase? Click on this LINK and check all our online examples.